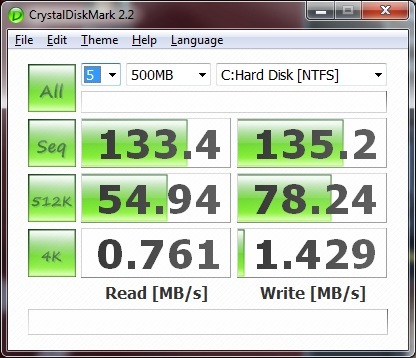 Finally down to the meat and potatoes of a new hard drive the actual performance. 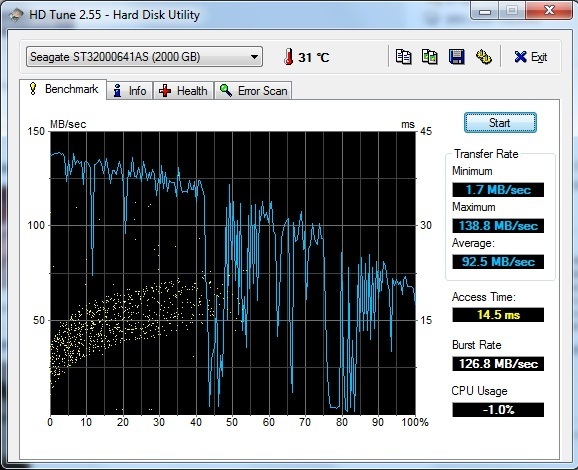 For the testing of the Seagate Barracuda XT we placed it in a mid-range Core i5 rig containing. Everything booted up just fine after making several minor adjustments recommended by Asus namely. – Setting the Marvell 88SE9123 controller to AHCI mode, disabling Intel C-STATE, fully installing all the drivers for the Marvell 88SE9123 controller to version ( 1.0.0.1008) and lastly using a supplied SATA 6G cable which came with the motherboard. 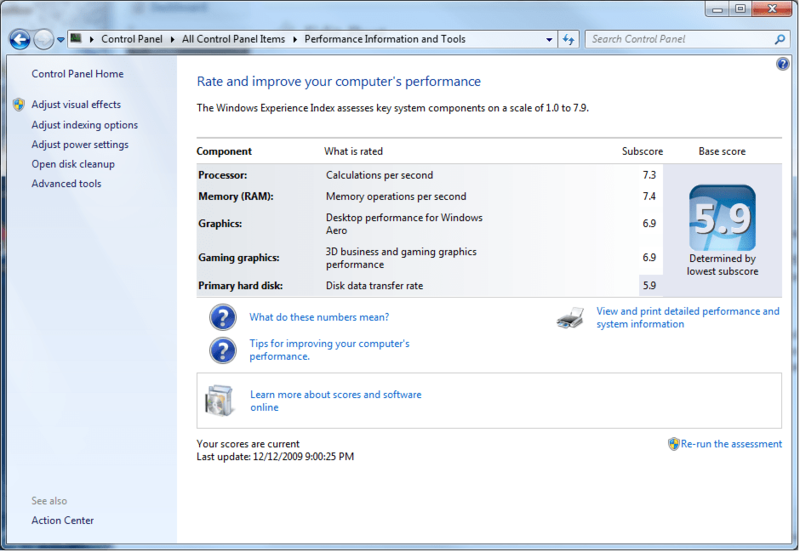 Alright now that the system is set up lets fire up our benchmarks, we will be using. 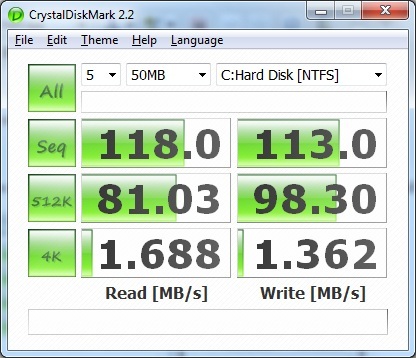 CrystalDiskMark , HDTune, Startup time, Windows Experience Index Rating, and transferring large files using windows own copy handler. From a cold boot the system reaches the desktop in 55 Seconds assuming you shut of the Express gate feature of the Asus motherboard we are using, more on that in my next review. The longest part of the boot cycle is the motherboard post tests, if we measure from the time the Marvell controller is detected then our boot time is shaved to a mere 32 seconds which is pretty snappy. 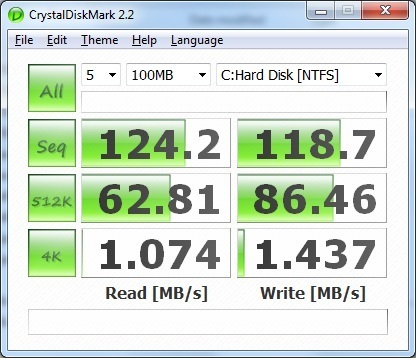 CrystalDiskMark is used to test the speed of sequential reads and writes, along with random reads and writes of varying sizes ranging from 50mb to 1 GB. It would seem that the 500mb mark is the sweet spot for sequential reads and writes while the smallest file (4k) size apparently has a horrible a read speed speed and only a slightly better write speed. In actuality the this test is not very good for showing the true transfer rate for (4k) files seeing as they are significantly smaller than the MB/s that is set for a scale that being said .374 MB/s is acceptable for such small file fragments. 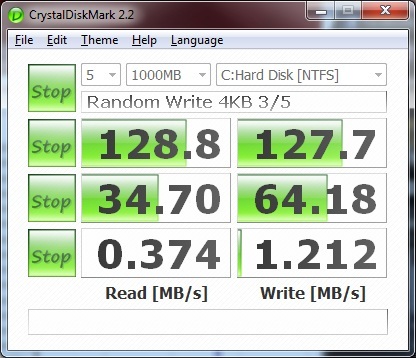 This test shows you the sequential read speed and for kicks I used the built in test logs to allow us to see the Barracuda XT compared to a Western Digital 74gb 10k RPM Raptor drive. 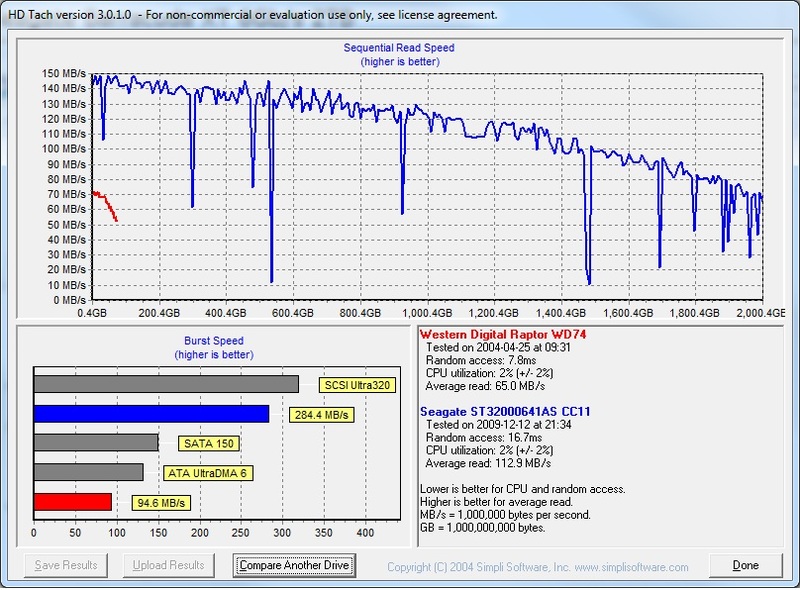 I have got to say I am very surprised at how well the drive did in comparison to the WD Raptor although looking at the graph you can see that the Barracuda drive has some problems occasionally keeping up a constant speed, but overall it did very well you can see the 64MB of cache really flexing its muscle. This test shows us much the same information that can be gleaned from the previous tests, but none the less its presented in a easy to read format. The biggest thing to take away from this test is the access time… 14.5ms is pretty long in the HD world. 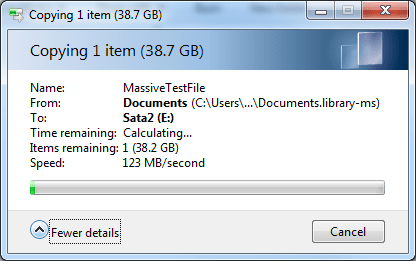 As a real world test moving large files I was very happy with a transfer rate of 123 MB with 2 SATA III drives I would expect a little higher transfer rate but not by much this drive is still limited by its spindle speed of 7200RPM.